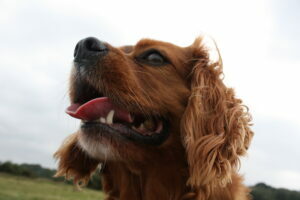 Hello, my name is Gemma and I am available for dog walking in and around the New Forest and waterside areas. I am also available for small pet visits to feed cats, bunnies and any other hungry critters you may have. I can also administer any medication and can help with puppy visits to ensure excellent socialisation and encourage them to settle into a routine of day to day life. I walk in groups of no more than 4 dogs at a time or solo with training/interactive play included. I am canine first aid trained, fully insured and gave a clear police check so you can relax knowing your pet is in safe hands! Solo walks are excellent for dogs that have fear aggression issues towards other dogs and would benefit from some one to one attention to build confidence. I can also tailor solo walks to suit your dog, for example if you have a working breed, a beagle for example, who are excellent trackers, I can include tracking activities into their walk to really get their senses working and mentally and physically tire them out ready for a nice long snooze afterwards! Currently I am training for my advanced diploma in canine behaviour management which will lead on to me being a fully qualified canine behaviourist and trainer as this is my true passion. I hope to continue help and rehabilitate traumatised rescue dogs. I have already completed 3 certificate courses in canine behaviour, canine body language and communication and also I have studied dog on dog aggression. For dog walks, your furry friend will be collected at the arranged time and transported in an air conditioned van in their own private, comfy crate for their safety and well being. They will then enjoy a good romp around the forest and will then be chauffeured home afterwards. They will be towel dried and given fresh water and I can also leave them with an interactive toy such as a Kong if you so wish. Please do email/call or text me if there is anything else you would like to know or to discuss arranging a meet and greet to get started! This entry was posted in Hampshire and tagged Ashurst, Beaulieu, Blackfield, Dibden, Fawley, Hythe, Lyndhurst, Marchwood, Totton. Bookmark the permalink.